Parking Passes will be provided at the registration desk however you will be required to go back to your car and display. Otherwise side street parking is available on a first come first serve basis. 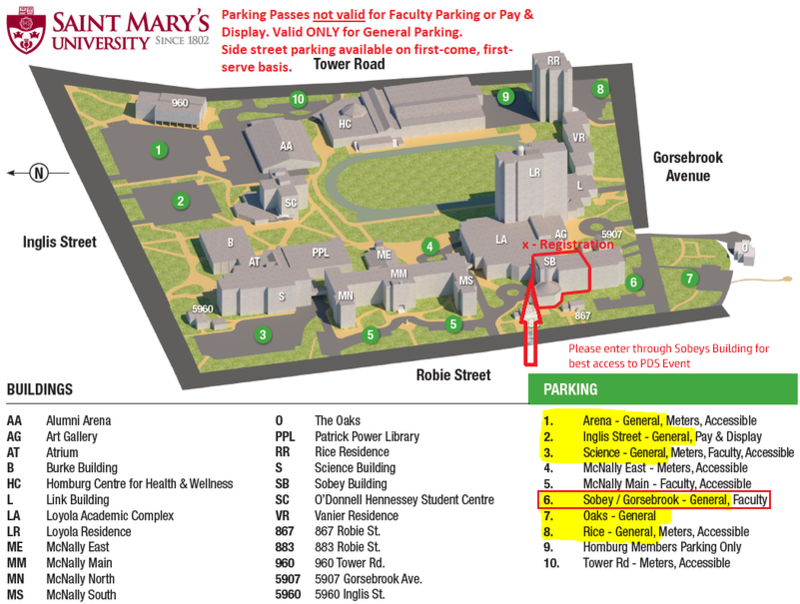 Parking passes are only valid for General Parking spots. ​Note that lots highlighted on the map will have a mix of both general and other parking.